Wolves (Canis lupus) are quadrupedal carnivorous mammals related to coyotes and jackals. 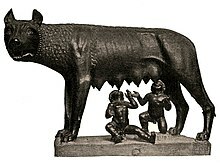 Wolves feature in folklore and mythology of cultures ancient to modern across the northern hemisphere; from the Norse legend of the giant Fenrir to more sympathetic depictions in Central Asia and the suckling of Romulus and Remus in the foundation of Rome. More familiar still are the fairy tales where the wolf appears as a villain such as Little Red Riding Hood and the Three Little Pigs. Wolf legends have also given rise to the popular horror figure of the werewolf. Margaret Atwood, The Blind Assassin (2000). The wolf is an intelligent and cultural animal. Its behaviour is not just imprinted in its genes, but is also taught from mothers to pups according to circumstance. It knows that a man with a pitchfork is dangerous, and that a man with a gun is even more so. The wolf was different once, and was more active during the day. Its [modern] nocturnal activities are an adaptation against danger. If people completely left wolves alone, in just one lupine generation (that is, five years), the wolf could once again try and attack people, at least in areas where it can allow itself to do so. We have signs of this in Canada, where three cases have been brought to our attention. In Europe, there have been no similar incidents, for now. Luigi Boitani, as quoted in Michele Corti, "Non sempre un bugia, ripetuta cento, mille, un milione di volte diventa verità: neppure sui lupi", Targatocn.it (Dec. 30, 2012). There’s no doubt that a pack of wolves gallivanting around the Highlands would keep deer numbers down, and this would save the trees and crops. But I can’t help wondering what else Mr Wolf might eat. Obviously Johnny Fox would be a tasty target, which is fine now that man isn’t allowed to hunt him any more. But what about the sheep? In the Alpine region of France a pack of just 30 wolves does its level best to keep lamb off the menu in most local restaurants, and we see a similar problem in Sweden, where wolves, tired of eating deer, are helping themselves to pretty well anything that moves. This brings me neatly to the wolf’s favourite amuse-bouche — us. [It's been said that] humans have nothing to worry about because in the last hundred years there hasn’t been a single recorded case of a person, or even a part of a person, anywhere in Europe, being eaten by a wolf. [It's also been argued] that in Alaska and Canada humans and wolves live happily together. True, but that’s because in Alaska and Canada most people pack some kind of heat in the parka. Here, however, we’re not allowed to walk around with a blue-steel .44, so I suspect the reintroduction of wolves would mean the odd rambler would go west. Jeremy Clarkson, "Who's afraid of the nice wolf? ", The Sunday Times (2 January 2005). They are an effective, widespread, and basic predator. They are not very good adapting to change. Wolves are often referred to as an indicator species, which means that any little deterioration of their habitat causes immediate drop in their numbers in that habitat. They don’t seem to be able to adjust to expanding civilization the way coyotes do. The coyote’s range is increasing in the face of human expansion, while the wolf’s is decreasing. Raymond and Lorna Coppinger, Dogs (2001). J.W. Curran, The Canadian Wildlife Almanac (1981). Interview with A Man Among Wolves: Shaun Ellis, Inside NGS, (2007). Dracula: Listen to them. Children of the night. What music *they* make. Neil Gaiman and Terry Pratchett, Good Omens: The Nice and Accurate Prophecies of Agnes Nutter, Witch (1990). 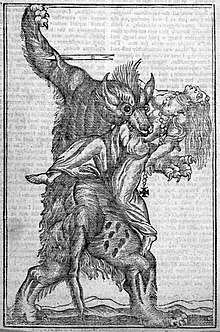 In reviewing earlier the historical material pertaining to wolf attacks on humans I discovered some very striking ironies, the most striking being that while North American wolf biologists vehemently opposed the wolf image portrayed in Grimm's fairy tale Little Red Riding Hood, and failed to research and develop an understanding of when wolves became dangerous to people and when not, their colleagues studying coyotes did just that! Biologists studying urban coyotes developed a sound understanding predicting when coyotes living in cities would attack children. The biologists studying coyotes were not in a state of political denial. And they put nobody at risk. Quite the contrary! As I have shown, wolves signal impending attacks on people a long time before it happens. They act very much like their smaller cousin, the coyote. Yet the vehemence with which the myth of the "benign wolf" is defended by environmental groups, but also individuals claiming to be scientists studying wolves, transcends reason. Valerius Geist, Statement by Valerius Geist pertaining to the death of Kenton Carnegie (29 September 2007). I could not understand how any writers could call wolves the sanitarians of nature - just the opposite is true in my opinion. Some write that wolves only kill the animals they need to eat; there is endless documentation showing that wolves are wanton and surplus killers. Some write that wolves prey only or primarily on the weak, sick, diseased, or crippled animals; wolves often kill healthy, fit, well fed animals which are in their prime. Some write that a healthy wolf will not attack a human; wolves are wolves, and in Russia and Asia, throughout history, wolves, including healthy wolves, have been attacking and killing people... In my opinion, many Western writers and specialists on wolves have become enamoured with these animals. It is true that wolves are highly interesting and fascinating. However, most of these pro-wolf writers are basing their conclusions primarily on emotions, and not facts. Will Graves, Wolves in Russia: Anxiety throughout the Ages, (2007). Vladimir Heptner, Mammals of the Soviet Union, Vol. II, Part 1a (1998). Terry Jones, Terry Jones' Barbarians: An Alternative Roman History (2007). The connection between Mongols and the wolf is... interwoven with religion and folklore. In the Shamanic culture, the wolf is connected with mountain spirits. Children's fairy tales are often filled with references to the clever and mysterious wolf. With all these connections, I assumed it would make sense if Mongols had a bit of wolf blood in them. And perhaps they do. A legend is told about a blue wolf that mated with a red deer. It was their offspring that spawned the tribe of Chingis Khan. Since Chingis is considered the father of the nation, it's no wonder why the wolf is held in such awe. Michael Kohn, Dateline Mongolia: An American Journalist in Nomad's Land, (2006). The misinformation promulgated by wolf advocacy groups ranges from minor technical errors to major deception and fraud. Technical biological misinformation, though bothersome to professionals working with wolves, is not as serious as deception about such issues as the status and trends in wolf populations. This latter type of misinformation tends to motivate well-meaning wolf advocates to press their causes through letter-writing campaigns, public meetings, lobbying, and lawsuits. For example, animal welfare and wolf advocacy groups have been advertising for funds in major national newspapers for years, claiming that wolves were threatened in Denali National Park and other parts of Alaska, despite documentation to the contrary. These misrepresentations have even made it into conference proceedings. In the non-peer-reviewed proceedings of a nonprofit citizen organization, "Defenders of Wildlife's Restoring the Wolf Conference," undocumented claims were made the the wolf has been eliminated from "95% of its former range" and "95% of its historic range in Noth America". The actual figures are closer to 30% of its global range and 40% of its North American range. David L. Mech, Wolf Restoration to the Adirondacks: The Advantages and Disadvantages of Public Participation in the Decision, (2001). Physiologically, we know a great deal about the wolf, although we still have much to learn. But why should we continue to study the wolf? Some people curse the animal; others deify it. As scientists study it, we may be able to blunt these extremes and place the wolf in proper perspective. Viewed from the inside, the wolf is a large, intelligent canid predator with a variety of interesting biochemical, neural, and hormonal adaptations. It is neither good nor evil. David L. Mech, Wolves: Behavior, Ecology, and Conservation, (2005). Oxford King James Bible, Genesis 49:27 (1769). Oxford King James Bible, Matthew 7:15 (1769). Oxford King James Bible, Isaiah 11:6 (1769). Oxford King James Bible, Jeremiah 5:6 (1769). Oxford King James Bible, John 10:12 (1769). Oxford King James Bible, Ecclesiasticus 13:17 (1769). Rudyard Kipling, The Jungle Book (1894). Ernest Thompson Seton believed that wolves attacked and killed people before the coming of guns and poisons, especially during the Winter months when food was scarce, and Native American oral history supports this. Barry Lopez,Of Wolves and Men (1978) . Wolves housed in cages which are far too small, are still among the most pitiful of all caged animals. Conrad Lorenz, King Solomon's Ring (1952). Farley Mowat, Never Cry Wolf (1963). We have doomed the wolf not for what it is, but for what we deliberately and mistakenly perceive it to be — the mythological epitome of a savage, ruthless killer — which is, in reality, no more than the reflected image of ourself. Alessandro Pepoli, La Scommessa, Act I., Sc. I. — (Il Marchese.). Translation reported in Harbottle's Dictionary of quotations French and Italian (1904), p. 417. Theodore Roosevelt, Hunting the Grisly and other Sketches (1908). On the ragged edge of the world I'll roam, and the home of the wolf shall be my home. Robert Service, The Nostomaniac (1912). And the wolf behowls the moon. William Shakespeare, A Midsummer Night's Dream, v.1.379, (1590-1596). William Shakespeare, Macbeth Act 1 Scene 3 lines 51-56. Woman to a man is either a god or a wolf. (Flamineo) John Webster, in The White Devil (1612). We have to stop interacting so closely with wolves. It is wrong, the risk is too great. We must recognise they are dangerous animals. Arne Weise, as quoted in Chris Pollard, "Wolves maul woman to death at zoo in Sweden", The Sun, (June 18, 2012). What does the wolf care if the sheep-fold be destroyed? As quoted in John Lewis Burckhardt and William Ouseley, Arabic Proverbs: Or, The Manners and Customs of the Modern Egyptians, (1830). As quoted in John S. Rohsenow, ABC Dictionary of Chinese Proverbs, (2003). A dog is king within a radius of one hundred paces, but is only a wolf in front of his master's door. Even if a wolf travels a thousand miles, it will still eat people and even if a dog gets as far as the horizon, it will still eat excrement. Even the eighty-year-old mother didn't let the wolf catch up with her. If one is unable to draw a strong bow, one will not be able to shoot the evil wolf to death. One who is not willing to risk his child will not catch the wolf. It is better to save a hundred sheep than save one wolf. When the rams lock horns, the wolf gets fed. A sheep separated from the flock will feed a wolf sooner or later. As quoted in Henry G. Bohn, A polyglot of foreign proverbs, (1857). It must be a hard winter when one wolf devours another. Lambs don't rush into the mouth of the sleeping wolf. Though you teach a wolf the paternoster, he will say: "Lamb! lamb!" In a small pretence the wolf devours the sheep. What the she-wolf does (brings forth) pleases the he-wolf. Whilst the dogs are growling at each other, the wolf devours the sheep. 'Tis a silly sheep that makes the wolf her confessor. Were it a wolf, it would spring at your throat. To hold the wolf by the ears. For wolf's flesh dog sauce. As quoted in Mineke Schipper, Never Marry a Woman with Big Feet: Women in Proverbs from around the World, (2003). For love the wolf eats the sheep. There is never the cry of "Wolf!" but the wolf is in the distance. On a very small pretext the wolf seizes the sheep. Who does not wish to be like the wolf let him not wear its skin. A wolf pup will never take the place of a dog no matter how much you feed it. A wolf cannot be satisfied with sheep, a man is never satisfied with thoughts. As quoted in Will Graves, Wolves in Russia: Anxiety throughout the Ages, (2007). A wolf makes a living by using his legs, a shepherd by his stick. A sheep cannot make friends with a wolf [nor] a poor man with a rich landowner. To put the blame on elders is the nature of the wolf. When wolves kill sheep, the dogs grow fat. You will not be able to trap an old wolf. Never permit a wolf to guard a sheep. However hard you try to make friends with a wolf, it will dream of escape to the forest. A hungry wolf is stronger than a full dog. Hunger will drive even the wolf from the forest. Speak of the wolf and you will run into one. He who keeps company with wolves, will learn to howl as a wolf. A horse measured its strength against a wolf - only a horse tail and a mane remained. A wolf had pity on a mare, but only a horse tail and a mane remained. 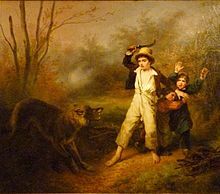 Once upon a time there lived boyers (nobles, land owners) who had to howl like wolves. There were periods when even the boyers had bad times. A peasant may have modest clothes but a sharp mind. He still has his brain safe from wolves. Wolves will pay dearly for the tears of the sheep. I cannot speak because a wolf is quite near. He looks like a fox, but smells like a wolf. A tail is like that of a fox, but a mouth is like that of a wolf. Do not act as a sheep, a wolf will eat you. If you are afraid of wolves, don't go into the forest. A wolf will not eat a wolf. An old wolf has good senses. An old wolf has tricks. Not everything that is gray is a wolf. It would be easier to teach a wolf how to read and write. Wolves are not killed because they are gray, but because they eat sheep. An old dog never tried to make friends with a wolf. Slack on a State Farm - and a wolf will come during the winter. If you look like a sheep, the wolves will be ready. The sheep feel sad when a wolf is the shepherd. Even if it is a gray wolf or an old wolf, it has the pride of a wolf. Put the blame on the gray wolf; he will be responsible for all misdeeds done by you or someone else. The wolf killed many victims, but for this he will be punished. Two male wolves will not live in the same den and will not eat the same bone. A hungry wolf can tear anything. A hungry wolf can break spells. A dog must not follow in the tracks of a wolf, if the wolf turns back, it will eat the dog. Calves could lick the boots of a meek wolf. A stubborn sheep is a profit for a wolf. A dog was praising a wolf for the rapid wagging of its tail. Even a sheepskin cannot hide a wolf. To slink very carefully as a wolf. One who receives a rank with cunning will act in the position like a wolf. A fox can fool seven wolves. A fox always finds more to eat than a wolf. Do not pretend to be a sheep, a wolf will eat you. Caught in a trap like a wolf in a net. In extreme need, a wolf can act as a fox. Luck is like a wolf: so evasive it can slip away. It is a wolf and it tears like a wolf. He who was born a wolf, cannot become a fox. Two wolves will seldom agree over one bone. Wolf, gnaw at your own sides. This is what is said at the same time when you place a stone under a pot, and it will save your cow from being eaten by wolves. Ivan gave the wolf food for his mouth and teeth. A wolf is used to winter. This is not the first winter a wolf has lived through. You will make your count, but a wolf will come and make its own count. Who could believe that a wolf will pasture sheep. A wolf hunts, but is also being hunted. If you cannot catch a wolf in a trap, catch it in a net. He has a wolfish look, and he can curse like a wolf. The wolf felt pity for the lamb, and so he left the skin and bones. Legs help a rabbit to survive, teeth are responsible for the wolf's [survival], and cunning takes care of the fox. He pried in as a wolf but with a dog's tail. If you are going to hunt a wolf, you should have a good dog to help. Do not put your finger into the mouth of a wolf. A timid sheep is easy prey for a wolf. A mare went to make peace with a wolf, but the mare did not return home. A bear is not subservient to a dog, a pig in an orchard is not a garden, a wolf is not a shepherd of sheep; a person who is stupid and deaf is a poor judge. You won't kill a wolf in a chase, but by cunning. One wolf does not bite/kill another. When one wolf eats another, there is nothing to eat in the wood. To wolf's flesh, dog's tooth. Do you want to see a wolf with young (i.e. an insatiable plunderer)? Marry your daughter. Even a wolf is allowed to marry two. Awar proverb, as quoted in Mineke Schipper, Never Marry a Woman with Big Feet: Women in Proverbs from around the World, (2003). Basque proverb, as quoted in Mineke Schipper, Never Marry a Woman with Big Feet: Women in Proverbs from around the World, (2003). Catalonian proverb, as quoted in Henry G. Bohn, A polyglot of foreign proverbs, (1857). English proverb, as quoted in Mineke Schipper, Never Marry a Woman with Big Feet: Women in Proverbs from around the World, (2003). Woman to man is either a God or a wolf.